ST. AUGUSTINE, Fla., Sept. 21, 2009 -- With U.S. Navy leadership, federal, state and local government officials, and Northrop Grumman's (NYSE:NOC) employees looking on, the U.S. Navy today took delivery of its 21st, and final production E-2C Hawkeye 2000 aircraft. The delivery event was held at the company's East Coast Aircraft Manufacturing and Flight Test Center, known as the "Home of the Hawkeye." 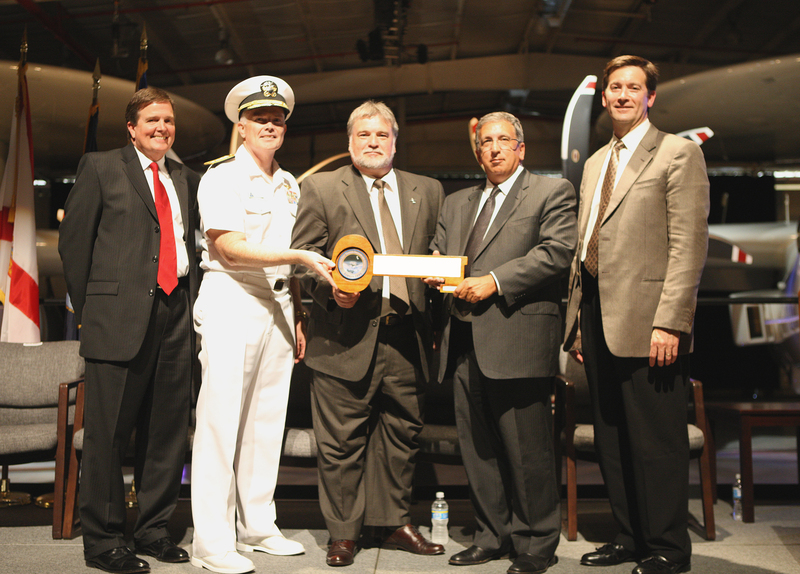 Accepting the aircraft on behalf of the U.S. Navy was Rear Adm. Richard O'Hanlon, Commander, Naval Air Force Atlantic. "This is a significant milestone for Northrop Grumman and the U.S. Navy. Over the past 40 years, various models of E-2 Hawkeye have truly served as the eyes of the fleet in its critical role of providing operational commanders airborne early warning and command and control. As threats have evolved, so has the Hawkeye's capability. It is truly an integral part of the U.S. Navy's 'First Line of Defense.'" The E-2C Hawkeye 2000 began service with the U.S. Navy in 2005 as a powerful upgrade to the E-2C airborne early warning and control platform, the first carrier-based aircraft designed from the outset for this mission set. Currently, there are more than 100 E-2 Hawkeye aircraft operating worldwide, with almost one-third of those being flown by international customers. With its commercial-off-the-shelf based architecture and network-centric connectivity, the Hawkeye 2000 is an extremely capable multi-mission platform, performing simultaneous air and surface surveillance, strike and intercept control, search and rescue support, and drug interdiction. "As we deliver the final E-2C, I am reminded of the strong legacy this aircraft is built on," said Tom Vice, sector vice president and general manager of Northrop Grumman's Aerospace Systems' Battle Management and Engagement Systems Division. "At Northrop Grumman, we have a reputation for being committed to strong program performance and a skilled workforce that is committed to meeting our contractual obligations to our customer. As we deliver the final E-2C, we are preparing to transition to the next generation of force protection -- the E-2D Advanced Hawkeye -- which will provide a two-generational leap forward in new technology." Northrop Grumman introduced the sixth generation of the E-2, the Advanced Hawkeye in 2007. With an external appearance similar to the E-2C, the systems of the Advanced Hawkeye have been completely redesigned and the capabilities are vastly expanded. With its newly developed, more powerful AN/APY-9 Electronic Scan Array (ESA) radar, the E-2D will provide the warfighter with the expanded battlespace and situational awareness required for today's and tomorrow's mission. At the delivery ceremony, the final E-2C and the first E-2D pilot production aircraft, formed the backdrop for the speakers. Northrop Grumman is producing three pilot production E2-D aircraft which are on-track for delivery in 2010 under a $408 million contract awarded in July 2007. Following successful completion of a Milestone C review, a $432 million contract was awarded in June for Low-Rate Initial Production. The Navy's Program of Record is for 75 total aircraft.